Our most popular dimple balls! 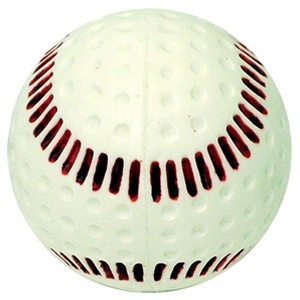 The Baden Seamed Dimple Pitching Machine Balls have Baden's exclusive patented inset red seams for a realistic baseball appearance. These balls are official 9 inch size and 5 oz weight, and are designed to work in all pitching machines. The inset seams protect the seams and color from wear. These patented balls are the only dimple balls that simulate real baseballs. Ordering a large quantity of pitching machine balls for your team or league? Call us for volume discount pricing.